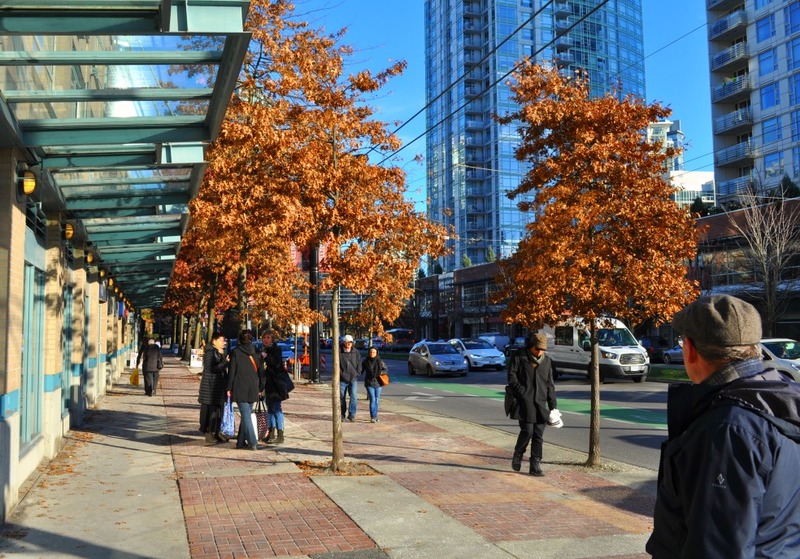 We last visited Vancouver’s Yaletown district almost five years ago, in early 2013. We noted that the Yaletown brand was so hyper-trendy that developers were making use of it across a wide swath of what used to be called the South Downtown. 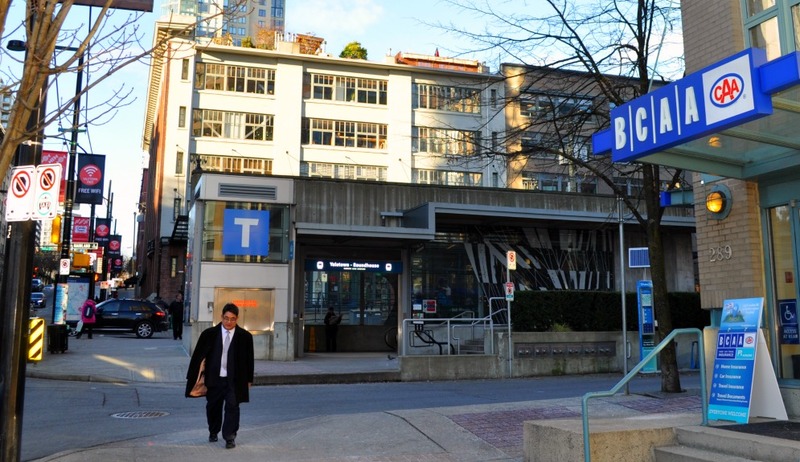 With its towers, cafes and rapid transit, Yaletown is now the prototype for much recent or proposed pop-up development in Vancouver’s suburbs, for example in Coquitlam Central, the still-pending Coquitlam waterfront project, and the rumoured Metrotown 2.0. Co-tourist Robert Smarz and I used to work together at an office in Metrotown, and returned on a holiday-season Friday for a cozy lunch at Rodney’s. There has been further tower construction around the casino on False Creek; otherwise, I see little change, other than some slight mellowing as the trees grow up and the sidewalks buckle. 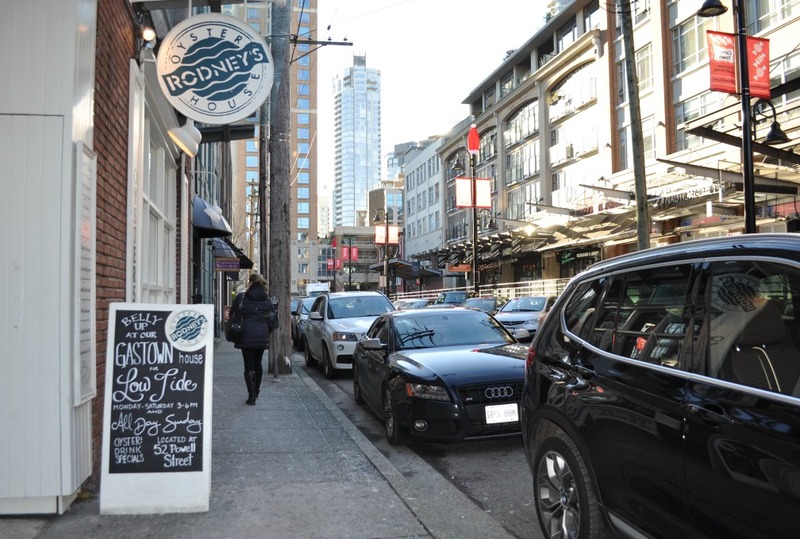 The City of Vancouver has posted a “Yaletown walking tour” page that will lead visitors to some of the remaining historic buildings in the area.